The "Android" name, the Android logo, the "Google Play" brand, and other Google trademarks, are property of Google LLC and not part of the assets available through the Android Open Source Project. These guidelines correspond to and complement the marketing materials on the Partner Marketing Hub and Google Brand Permissions. All creatives that include or reference Android or Google trademarks must be reviewed and fully approved by the Android brand team. Below are relevant legal guidelines on how to display our trademarks. Use the brand request form to submit your marketing for review. The use of the "Android" trademark on hardware, packaging or marketing materials of device is restricted to Android-compatible devices only. Here are guidelines for the Android brand and related assets that can be used for compatible devices. For detailed guidance, please consult the Partner Marketing Hub. The following are guidelines for the Android brand and related assets. Android™ should have a trademark symbol the first time it appears in a creative. Any use of the Android name needs to include this attribution in your communication: > Android is a trademark of Google LLC. Android should always be capitalized and is never plural or possessive. "Android", or anything confusingly similar to "Android", cannot be used in names of applications or accessory products, including phones, tablets, TVs, speakers, headphones, watches, and other devices. Instead, use "for Android". Incorrect: "Android MediaPlayer" or "Ndroid MediaPlayer"
"Android TV", "Android Wear", "Android Auto", "Google Pay", and "Android Things" may only be used to identify or market products or services with prior approval. Use "for Android" or "with Android" for all other Android-based products. Incorrect: "Android TV Streaming Stick", "Streaming Stick with Android TV"
Correct: "Streaming Stick with Android"
If used with your logo, "for Android" or "with Android" should be no larger than 90% of your logo’s size. The first instance of this use should be followed by a TM symbol: "for Android™". Android may be used as a descriptor in text, as long as it is followed by a proper generic term and is not the name of your product, app, or service. Think of "Android" as a term used in place of "the Android platform." 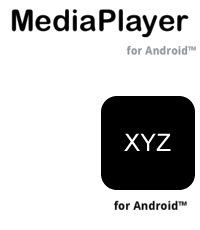 Incorrect: "Android MediaPlayer" or "Android XYZ app"
Correct: "Android features" or "Android applications"
"The Android robot is reproduced or modified from work created and shared by Google and used according to terms described in the Creative Commons 3.0 Attribution License." The color value for print is PMS 360C and the online hex color is #78C257. You may not file trademark applications for or claim trademark rights to the Android robot logo or any derivatives thereof. Google retains all trademark rights to the Android robot. We want to ensure that the Android robot remains available for all to use. 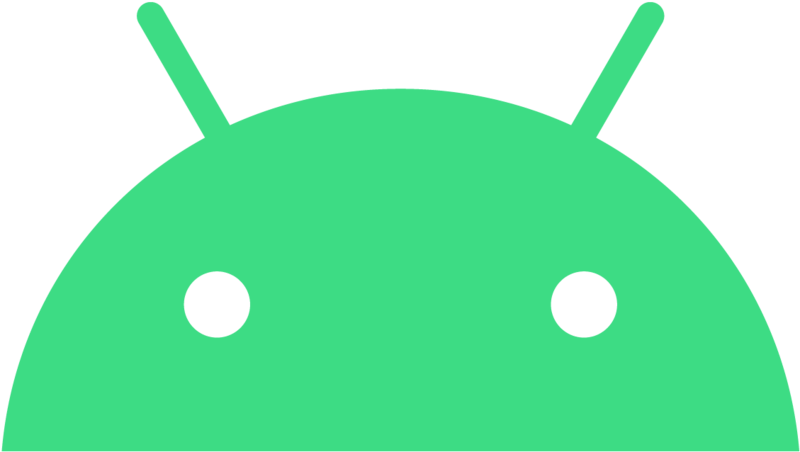 The Android Peace Robot or any variation of the Android Peace Robot (such as the Android robot with a peace sign) may not be used in partner marketing. Unless expressly authorized by Google through written agreement, the Android wordmark and custom typeface may not be used. Use of the "Google Play" name and the Google Play Store icon is allowed only in association with devices licensed to access Google Play. For a list of devices licensed to use Google Play, refer to Supported devices. App developers distributing an Android app can use the Google Play badge generator to generate a visual that can be used in marketing materials. For all other uses of the Google Play brand, please consult guidance on the Partner Marketing Hub and submit your request using the inquiry form below. Use the brand request form to submit any marketing reviews or brand inquires. Typical response time is at least one week.